It seems astounding that every other party campaigning in this election, apart from the Conservatives, wants to raise taxes on working people. If I am elected your MP on 8th June I pledge to campaign to keep taxes low and help working people keep more of their own money. One of the greatest achievements of the Conservative Government since 2010 has been consistently raising the personal allowance to ensure those on lower wages can keep more of their own money. This policy is crucial with the higher living costs we have here in London, where many of those who would be considered average earners elsewhere in Britain are left struggling at the end of the month after paying on average nearly 60% of their salary on rent or mortgage payments and utility bills. Hammersmith and Shepherds Bush is a great place to live but I know too many people who are struggling with the cost of living here. I want to be elected to Parliament to protect precisely these people, often overlooked by politicians, and ensure that everyone here is protected from greater financial stress and the increased cost of living. Over the past few days I’ve been hearing real concerns about Labour’s proposed tax rises on the doorstep, especially their proposed Land Value Tax. Research has indicated that this would create a staggering average tax rise of 224% per household, and those with gardens would be hit hardest. The Institute for Public Policy Research (IPPR) has said the tax might become a “tax on gardens”, which could tempt homeowners to sell off gardens to lower their bills. The IPPR warns that there will be “many losers” and the tax “might push some heavily mortgaged homeowners over the edge”. This would have a knock-on effect for private renters, with landlords likely to shift the rising tax bill onto their tenants. The National Farmers’ Union (NFU) has also made it clear that this policy would have disastrous effects on our agricultural industry, driving up food prices for the entire country. This misguided policy would have dire consequences; disproportionately targeting people on fixed incomes like pensioners; driving up private rents for the younger generation; threatening our green spaces in London; and damaging forever the character of our local area. It’s clear that a Labour Government would make us all poorer – if I am elected as your MP I pledge to keep taxes low and ensure no further financial burden is placed on those already struggling. If you want lower taxes, vote Conservative in Hammersmith and Shepherds Bush. As the debate rages about the value and effectiveness of a “sugar tax’ in the context of the wider debate on public health I would argue that this is just another knee jerk reaction from a bureaucracy that is essentially out of touch with the vast majority of hard working citizens. More to the point it is ineffective in actually changing behaviors and improving the health of the nation and as such should be avoided at all costs. As many have pointed out (including the editor of this publication) a sugar tax will simply ‘clobber’ the poor and in all probability not change behaviors unless the the tax becomes so prohibitive that we risk the development of a black market. A completely self defeating measure. Those fans of the concept of the large and all powerful state seem to be wedded to the taking the easy option of using brute force on the populous as they clearly believe the state knows what is best, another manifestation of the belief that the tax payer is there to serve the state not vice versa. I am also bemused why all the talk is of penalizing the tax paying citizens and not the manufacturer? If you are a ‘tax addict’ then surely this latter option makes more sense? For me the more effective way to address the issue of excessive sugar in our food and drink would be to work with business primarily the food and drink manufacturers to reduce the overall sugar content of their products. You could actually use (heaven forbid) tax incentives to encourage them to do so! This along with very clear labeling would give the consumer a proper informed choice and would and I venture result in the desired reduction in sugar consumption. The same principle can easily be applied to salt, saturated and trans fats etc all of which can be detrimental to overall health outcomes. I think the time has come to stop treating the general population as simpletons when it comes to public health. Education, labelling and enlightened working with business must be the way forward in achieving real improvements in the health of our nation. It can not be acceptable to have a policy which effectively delivers a result where the more financially challenged you and your family are the harder we will hit you and continue to hit you until (it is hoped) you are totally subservient to the will of the state and its bureaucrats. When has that ever been an effective tool of public policy? What such an approach will do for stress levels not to mention mental health of our financially challenged families does not bear thinking about and is another example of the poor planning that has gone into this. We continue to have some of the worst inequalities in health in the civilized world despite the NHS and the really good work it does and has done for may decades. So for me it is clear we need to do things differently. There is no question that we need to have a national debate about our nations health and the issues we face in trying to improve our health outcomes. We have to make changes to the way we live our lives, what we eat and how much exercise we do. However I would argue (and I believe the evidence supports this) that real change will only take place if we persuade, educate and inform our citizens. Hitting people with a blunt instrument which is really what tax is, will doom us to failure. It will penalise those who can least afford it and reinforce bad and ineffective behaviors in our all too powerful bureaucratic class. 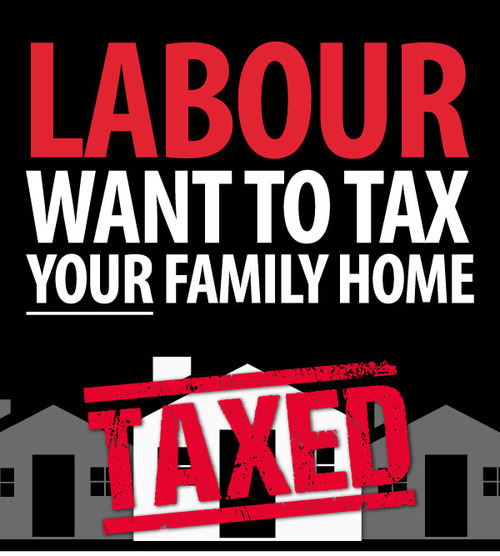 Many Labour MPs and councillors have spoken out against the Party’s vindictive plans for a “Mansion Tax”. There was a weaselly reference to those earning less than £42,000 “you won’t have to pay at all upfront” – instead there is an odious proposal for a extra death tax. Last week the Evening Standard reported that 7,708 households in Hammersmith and Fulham would be hit by Labour’s “Mansion Tax”. In the whole of Scotland only 987 properties would be taxed. In Scotland genuine mansions – and castles – with 15 or 20 bedrooms would be exempt. In our borough Labour defines some two bedroom flats as “mansions”. This is despite a survey by Knight Frank finds that Fulham house prices fell in the last quarter by 4.2% – more than anywhere else in Central London. They expressly blame the “Mansion Tax” for it. It would be naive to assume a Labour Government could be trusted not to lower the threshold below £2 million. Labour have a black hole in their spending plans of £20.7 billion. How would they fund that? Lowering the threshold to £1.5 million? £1 million? It wouldn’t be the first time a tax was introduced supposedly aimed at the wealthy that ended up being applied more widely. 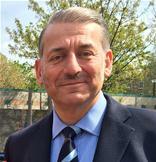 The Labour leader of Hammersmith and Fulham Council, Cllr Stephen Cowan, has claimed that Mr Slaughter is “leading a campaign against the Mansion Tax”. That was not entirely clear from yesterday’s TV interview. “Thank you for taking the time to email me. I do not have an objection in principle to levying a tax on very high value property, especially where this is used as a mechanism for laundering money through the UK property market in a way that both avoids income and other taxes and distorts the market to the detriment on UK residents trying to get on the housing ladder – or simply find a home. As you may know from my opposition to schemes like the King Street, West Kensington and White City developments – which are specified as high-density luxury properties primarily for the foreign investment market – I would like to see a more mixed economy of housing in the borough. The Government is belatedly taking some steps to address this, such as the increases in stamp duty and infrastructure levies, but the market seems as buoyant as ever in Hammersmith & Fulham given the council’s irresponsible attitude to planning policy. With regards to the specifics of the policy, Ed Balls has said that £2 million (uprated by the rise in property prices each year) would be the starting point, so there is no question of lower-valued properties being sucked in. Secondly, I believe no one should be forced to pay, let alone move, because they are asset-rich but cash-poor so there will be a scheme to defer payment until the property is sold. Whilst this information is helpful, I think a lot more work needs to be done to clarify on whom the tax would fall and at what levels it should be set. The objective of such a tax – as the name implies – is to correct the anomaly in council tax whereby ‘mansions’ are treated the same as modest family homes, because the banding system stopped abruptly at £320,000 (at 1991 values). The main beneficiaries of this are foreign investors who are paying nugatory sums annually for owning properties worth £10m or more. Of course, the purpose is defeated if the tax catches more modest properties but is still relatively inconsequential for the super-rich. Ed Balls has addressed this also by saying there will be a banding system for the mansion tax. However, I will be asking for more information on how the tax will avoid penalising residents for whom it would be neither fair nor affordable, and will be happy to share this with you in due course. Thanks once again for emailing me. This is an unsatisfactory response in various ways. First of all he suggests that the increase in house prices in our borough is due to “the council’s irresponsible attitude to planning policy.” This is an outspoken attack from a Labour MP on his own Labour councillors. Perhaps given they recently left him isolated by voting to campaign against the “Mansion Tax” this is his revenge. Secondly, the increase in house prices reflects a general London trend. So his explanation of blaming the local council is, in any event, implausible. If anything a more restrictive planning policy to wards more high value properties – which he seems to favour – would have constrained supply and resulted in scarcity driving up prices even higher. Thirdly, regardless of the cause, given that the reality is that normal terraced house have valuations of over £2 million – why won’t Mr Slaughter state clearly that the policy is unreasonable and the reference to “mansions” a misnomer? The difficulty could be that he would have to resign as a Shadow Minister. Fourthly, why does he regard it as acceptable that those of his constituents who he acknowledges to be “asset rich, cash poor” should be prevented from passing on their family home to their children when they die, by a mechanism that would be a second Inheritance Tax? Why does he want to break up communities and have family being forced to put up their homes for sale to Russian oligarchs? Fifthly, though he says there is “no question of lower valued properties being sucked in” his fellow London Labour MP David Lammy says houses worth £1 million could be hit. Mansion Tax – The Homeowners Alliance have warned that the experience with Stamp Duty shows that what is imposed at the top end of the market then moves down. Anyone who believes Mr Slaughter’s assurances on this point is being naive – especially as he is not exactly Captain Honesty. Sixthly, his response ignores all the practical difficulty. For example, people splitting their houses up – just as during the Window Tax era they bricked up their windows. Seventhly, the reference to asking Mr Balls for “more information” is obfuscatory and weak. When will he be asking for this further information? Mr Slaughter is a Shadow Minister – if he doesn’t understand Labour policy, why should he expect the rest of us to vote for it to be implemented? A powerful piece by Jonathan Prynn in the Evening Standard today on the unfairness of Labour’s proposed “Mansion Tax”. “Art dealer James Butterwick paid £340,000 in 1999 for a two-bedroom ground-floor flat in his house near Ravenscourt Park in Hammersmith. He gradually bought out the other flats in the building and now lives in the whole house with his wife and three children. He is so worried about the impact of the mansion tax that he plans to reconvert it back to flats and retreat with his wife and three children to the confines of an apartment. It would be expensive and hugely inconvenient but at least he will avoid a crippling annual bill he fears would otherwise force him to sell up. “The anger has alarmed senior Labour politicians and grandees in London, including Glenda Jackson and Lord Bragg, who fear a mansion tax backlash could lead to the loss — or failure to win — key marginals in the capital that could cost the party dear at the election. Karen Buck, Labour MP for marginal Westminster North and a parliamentary aide to the Labour leader, has said she is “very, very anxious” about the risk of homeowners being forced out. Even no less a firebrand than Diane Abbott, a possible Labour mayoral candidate, described the tax earlier this week as “dysfunctional” and expressed doubts about whether it would raise the money hoped for. It is a subject on which Tory and Labour politicians have been able to reach rare agreement in Hammersmith & Fulham, the fourth hardest-hit borough in London, with an estimated 7,098 homes in the £2 million-plus bracket. He concludes that some muddled concessions from Shadow Chancellor Ed Balls are “unlikely to quell concerns.” Indeed. If my email INbox is any guide the concerns of residents are growing.